Professional quality Power Supply Unit (PSU) specifically designed for use with CCTV Cameras. This is a Regulated 12vDC 2Amp Power Supply. It is widely acknowledged within the CCTV Industry that you should always use a power supply that is twice as powerful as the camera. 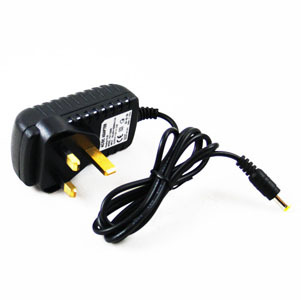 By that we mean, this is a 2000mA PSU, so we would advise it is used with CCTV Cameras that draw 1000mA or less (please refer to the specifications of your CCTV Camera to see what Ampage it draws).